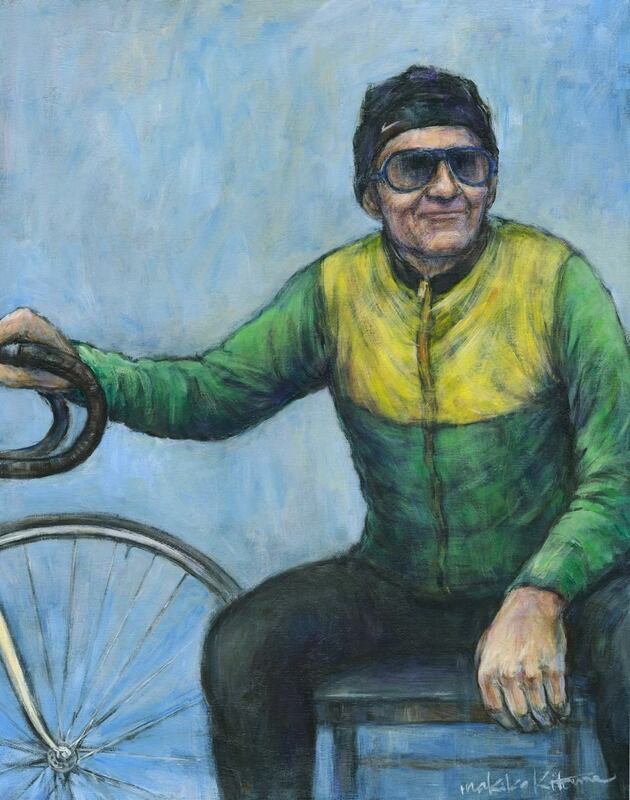 A portrait painting of the legend bike frame builder and professional cyclist Mr. Giuseppe Marinoni. He lives in Montreal, Canada. This was painted in 2017. 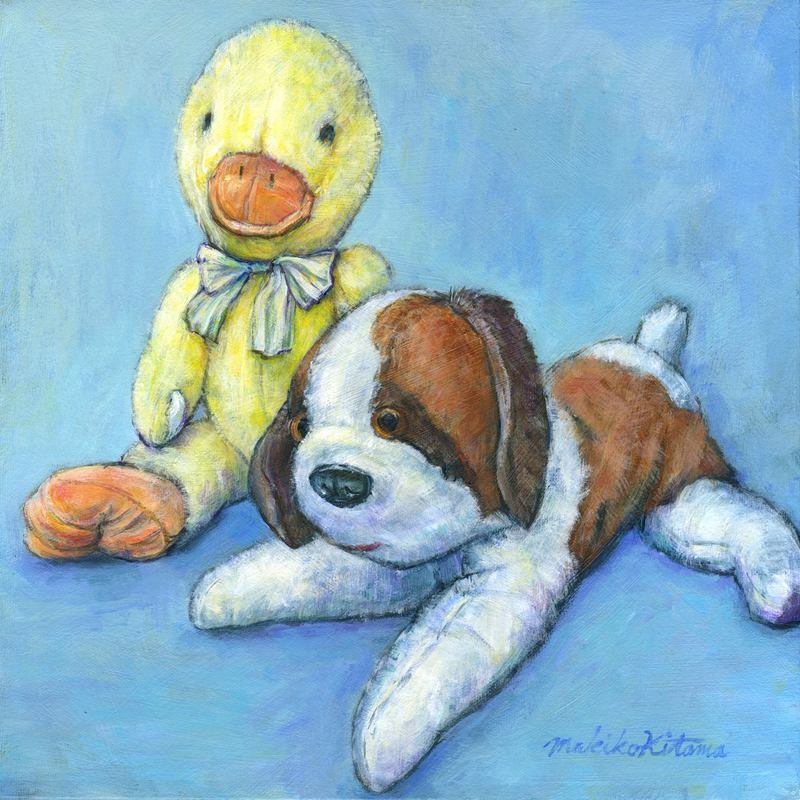 Acrylic on Canvas, 16"x20"
"Hamilton" the duck is the best friend of a little girl. "Floppy" the dog is her mom's childhood best friend. Now, they are sitting side by side. More stories to come! 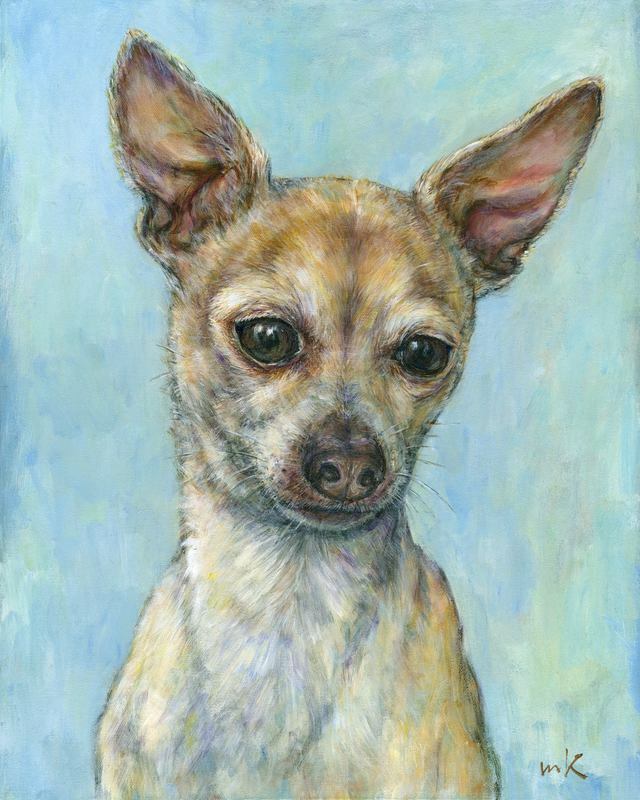 This is the portrait painting of "Oliver" the chihuahua. 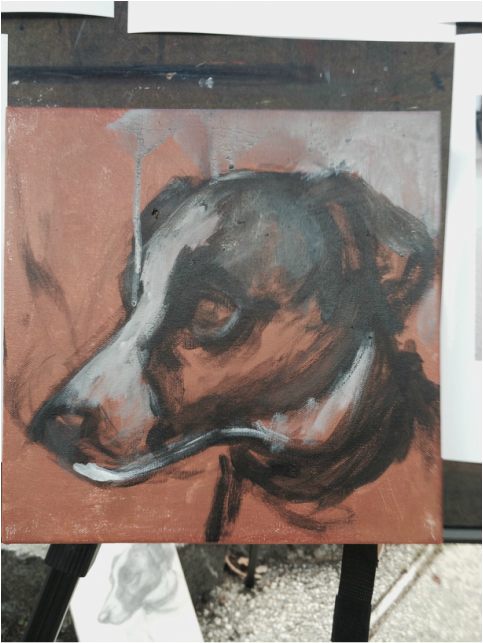 Portrait Painting of Lucky Lou. 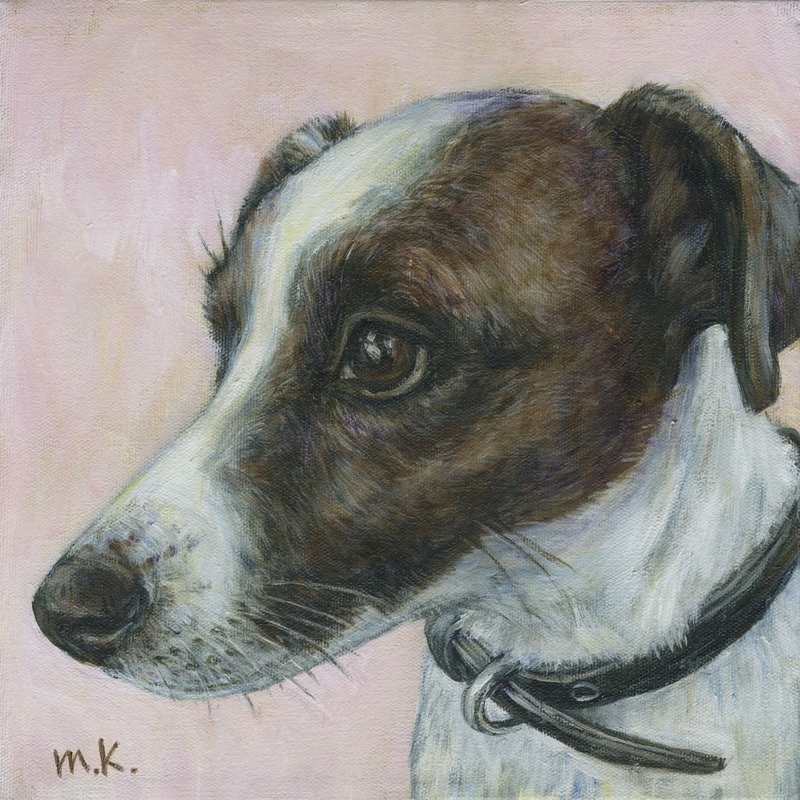 She is a energetic Jack Russell Terrier. 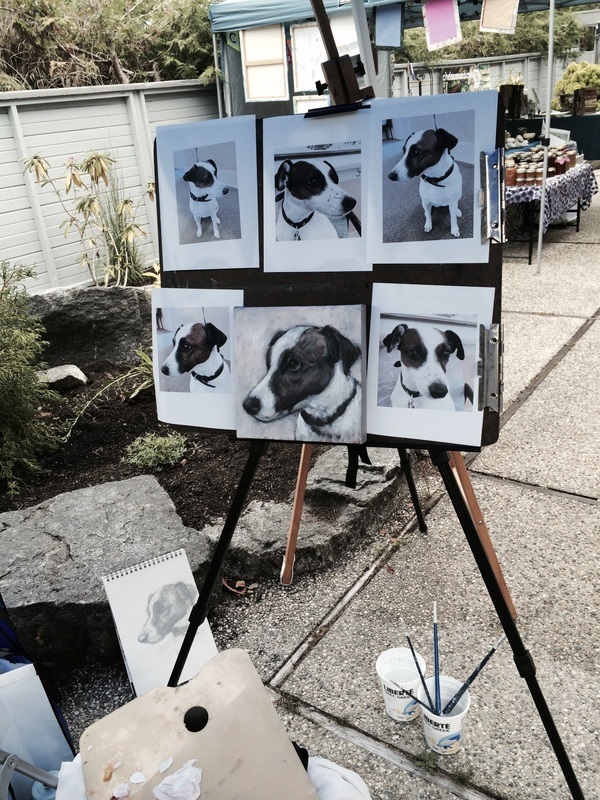 I started this painting at "Friday Farmers' Market" in Gibsons in August. I did on site painting demo and finished at home. Acrylic on Canvas, 10"x10". Here are some images how it started and evolved. 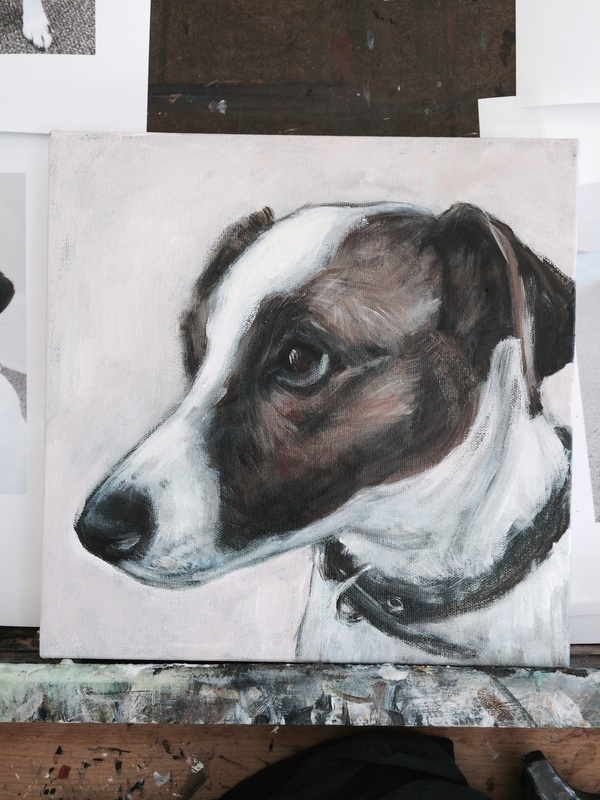 Portrait painting of "Sophie". Lovely dog. She is playful and energetic, but very relaxed, too. 12" x 12", acrylic on canvas. Lily is laying down on the table. She knows how to pose! This is Lily, the Standard black poodle. She is a very beautiful well loved dog. I'm sure she knows how to pose for the portrait painting. 20"x24", Acrylic on canvas. Commissioned. Portrait of Calvin, the Springer spaniel puppy. Commissioned. 16"x20", Acrylic on canvas. I created this painting for the Hallmark Channel Original Movie, "Window Wonderland". It premiered on Hallmark's Countdown to Christmas programming on Nov. 23, 2013. 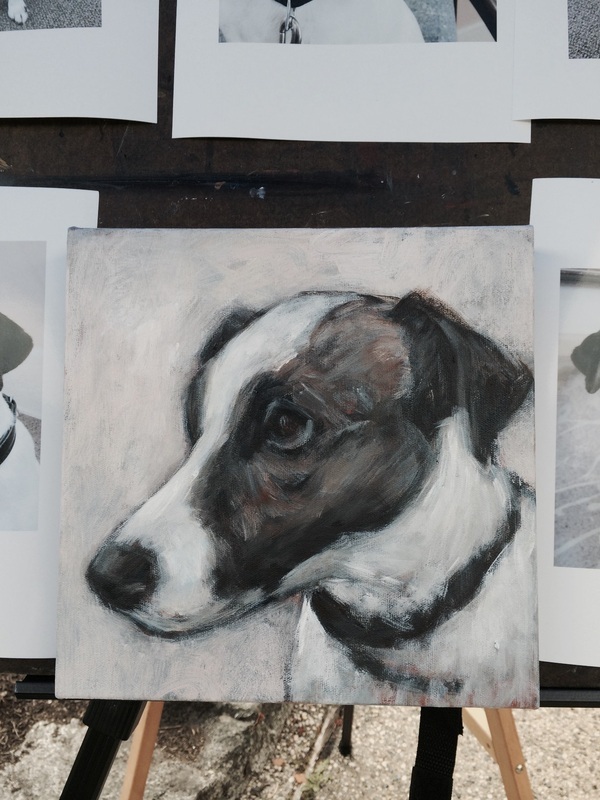 Portrait Painting of Your Family and Best Friend.